Love, Shelbey: HOURGLASS Ambient Lighting Blush "Diffused Heat"
HOURGLASS Ambient Lighting Blush "Diffused Heat"
Hello, guys! Welcome back! Today I'm sharing my thoughts on the new HOURGLASS Ambient Lighting Blushes. I recently splurged and picked out a gorgeous shade for spring and summer called "Diffused Heat". 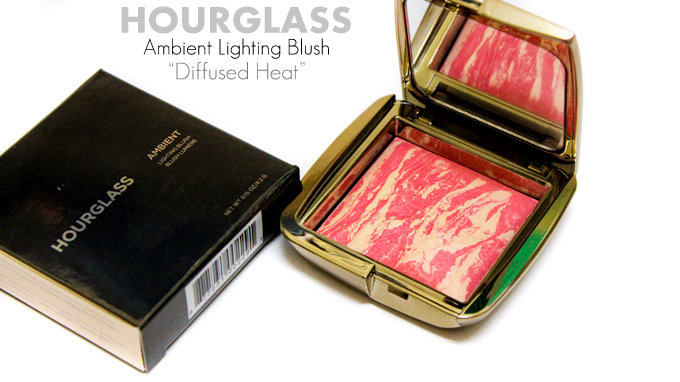 If you're familiar with HOURGLASS, you've probably heard of their popular "Ambient Lighting" Finishing Powders. 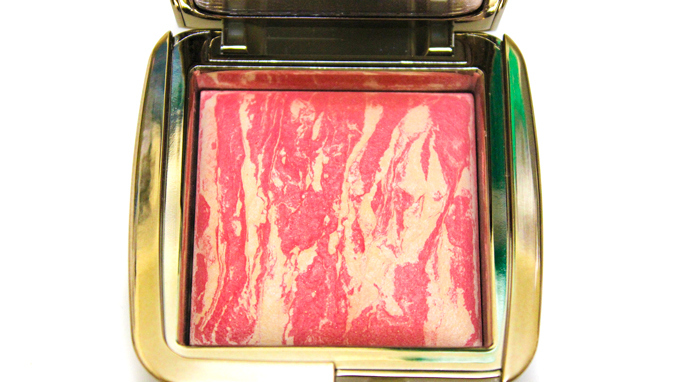 The new Ambient Lighting Blushes contain swirls of both the Ambient Lighting Powder along with a blush shade. "Diffused Head" is described as a vibrant poppy coral. It contains "Diffused Light" Finishing Powder which is described as a soft pale yellow shade. The blush color, in general, is gorgeous. When swatched, the formula seemed a bit dry. However, when applied with a brush, the pigment is fabulous. Since the blush contains an Ambient Lighting Powder, it gives your cheeks a bit of a glow, which I love. I was a little shocked to see the actual size of this compact. I was expecting it to be the size of the actual Ambient Lighting Powders. However, they are significantly smaller. The Ambient Lighting blushes retail for $35, which is definitely an investment (in my opinion). 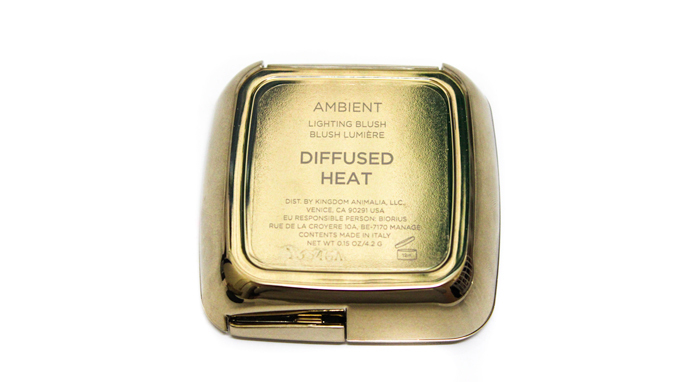 The entire Ambient Lighting blush collection has six shades varying from light, neutral, and vibrant shades. I would definitely recommend looking into the lighter blushes if you're considering these. For me, personally, if I'm dishing out that much money, I want something that's going to show up. There's a few shades that seem to be on the sheer side so if you have the opportunity, check them out in person first! Diffused Heat turned out even more beautiful than I expected! I'm normally not a coral blush kind of gal but I thought this shade would be awesome for summer. Like I mentioned previously, based on my first swatch, the blush seemed a bit dry. However, when I applied it with a brush, the color really came alive. I think it also depends on where your place your brush in the compact. 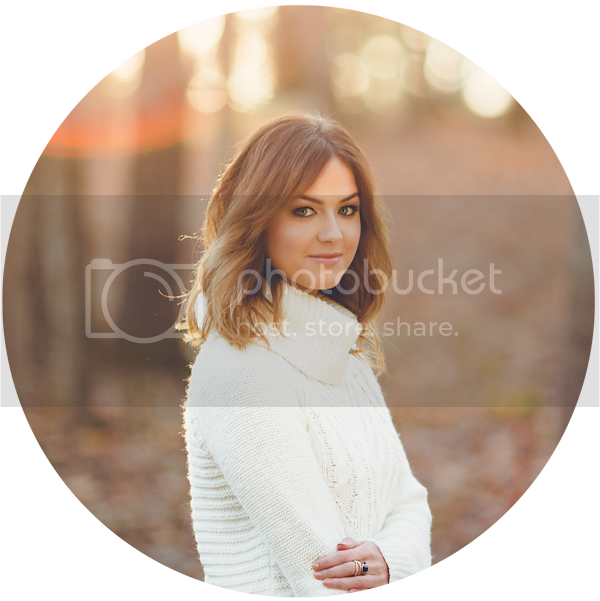 Since the blushes are mixed with Lighting Powders, some areas may be more sheer. Wearing HOURGLASS Ambient Lighting Blush "Diffused Heat"
Have you guys tried the HOURGLASS Ambient Lighting Blushes? What are your thoughts? Pretty! Great new photo up top as well! Love that pineapple tee! Also, what color/ product is on your lips? It's a great pink! good definitely of older style entertainment approach right now official link to mobdro-download which display most current and trending movies Mobdro Free nice. awesome on their House windows Pc. iOS users anyhow can showbox apk certainly given by ShowBox to its precious users nice. Great our Android gadget. Can we utilize it on our PC also? Yes, aptoide apk aptoide marketplace, if you do not after that do not Fine.